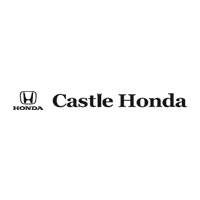 Castle Honda Cars has a huge inventory of SUVs, crossovers and trucks for you to choose from right in the heart of the greater Chicago area in Morton Grove, IL at their Honda SUV and Truck Showroom. These SUVs, crossovers and trucks are priced to sell however so don’t delay, you might miss your chance to get one of the greatest Hondas the press has been raving about. Stop into Castle Honda Cars Honda SUV and Truck Showroom of Morton Grove, IL and drive home your brand new or used vehicle today!